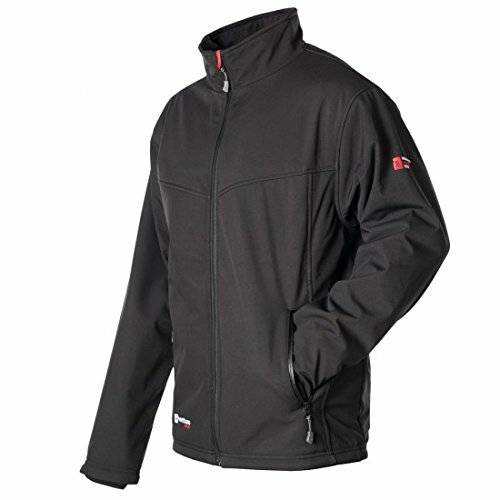 Check out the popular heated jacket that will warm those who venture out in the cold. The VentureHeat's Escape Men's USB Battery Heated Jacket from VentureHeat is designed to keep the harsh cold out and the warm comfort in. This heated jacket is lined with an ultra soft plush fleece that not only holds the heat in, but it enhances the heating process. For one, the soft shell design is water-resistant and windproof, so there's need to worry about the extreme winter weather from ruining your perfectly warm and dry body, This heated jacket also features micro-alloy heating material panels with a thinner mesh cover that can safely and efficiently transfer heat in and out of the body. For enhance heated comfort, the Escape USB Heated Jacket can be powered by a 2.1 Amp 10,000mAh or higher USB Power Bank Battery (USB Power Bank Battery NOT include). You got to have purchase it separately. Whether you're working, walking, driving, or sitting in the freezing cold weather, don't suffer anymore with the Venture Heat Escape Men's USB Battery Heated Jacket. If you have any questions about this product by Venture Heat, contact us by completing and submitting the form below. If you are looking for a specif part number, please include it with your message.